When a fire consumes Meg's home, killing her parents and destroying both her fortune and her future, all she has left is the tarnished pocket watch she rescued from the ashes. But this is no ordinary timepiece. The clock turns out to be a mechanical key--a key that only Meg can use--that unlocks a series of deadly secrets and intricate clues that Meg is compelled to follow. Meg has uncovered evidence of an elite secret society and a dangerous invention that some will stop at nothing to protect--and that Meg alone can destroy. Together with the handsome stable hand she barely knows but hopes she can trust, Meg is swept into a hidden world of deception, betrayal, and revenge. 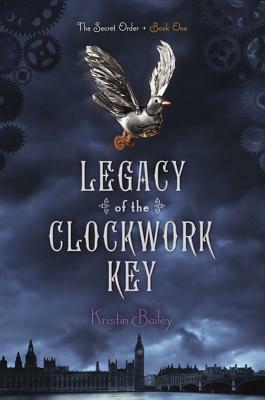 The clockwork key has unlocked her destiny in this captivating start to a trilogy.